Home » Home Page » How Mother’s Day Provides Life Lessons to Children. Mother’s Day is coming so close. It would be easy to simply go along with the advertising industry and believe that the annual gift of flowers on Mother’s Day is just what mom needs. Partially it’s what she needs, but also let’s acknowledge the intangible halves of the equations, the actions that don’t involve buying items but are personal expressions that recognize the value of mom in a personal, unique, and truly individual way. Here are ways kids can show mom a very special Mother’s Day. Show gratitude. Kids always think that Mom is special, but few take the time to think about it in a way that they can express their feelings. 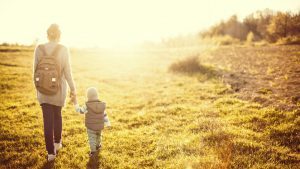 The process of doing this at least once a year for Mom is important to help kids develop the skills of communicating heartfelt, emotional feelings to a loved one. Practice self-expression. Kids can learn to develop their writing skills by writing a letter to their moms on Mother’s Day, leaving a tangible piece of themselves for her to look back on for years to come. For those who can’t write, they can dictate their thoughts for her to read. Be creative in gift giving. A gift of a picture of mom with her children on Mother’s Day is a great way to show mom how much she means and give her something she can remember the day by. Be gracious. Mother’s Day is an opportunity for kids to learn to do things they hate doing with a smile on their faces because they are doing those things for mom. Being gracious teaches compassion and sacrifice more than just buying her a new dress. At Albury Kidscape Early Learning centre and Caboolture Kidscape Early Learning centre; on Mother’s Day, we always have special activities for kids to show their appreciations towards Moms, for example, drawing Love cards for Moms, telling her a good story or simply give her a big hug and kisses. After all, the love between a mom and her kids is unconditionally and we encourage kids to express love to their Moms every day. Visit About Us and our Curriculum to have more information about our centres.